Windows Phone users hoping to accessorise their activities with a trendy fitness wristband can now do so thanks to the launch of the Fitbit app for Microsoft's mobile operating system. As promised last month, Fitbit launched its companion app for Windows Phone today, finally allowing users to wirelessly sync data with wearables like the Fitbit Flex and Fitbit One. The Fitbit app, already available on iOS and Android, allows users to view real time and historical activity data, while also logging their food intake from a possible 350,000 items. As great as this sounds for Windows Phone users, it's not entirely universal. Smartphone owners will need Windows Phone 8.1 as well as the new Lumia Cyan update to make use of the FitBit app. The launch is the first time a major fitness tracker manufacturer has embraced Windows Phone. 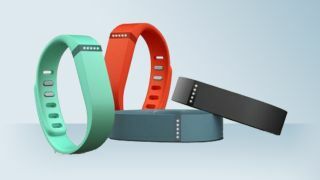 The likes of Jawbone, Nike, LG, Samsung and Garmin have all eschewed the third-placed platform thus far, making Fitbit the de facto choice for fitness-focused Windows Phone users.